As websites have grown larger and more complex, companies have begun using dynamic publishing systems to help manage sites that contain hundreds or thousands of web pages. Popular programs by companies like Vignette, Microsoft, and Broadvision turn a website into a database driven application capable of publishing and managing large amounts of content. When websites use dynamic publishing, a web page isn’t built until it is requested from a user, guaranteeing that the content is up to date. When these content management programs deliver information back to a web browser the links they create often contain many of the snippets of code they are using to assemble a page on the fly. This might include characters such as “?, $, @, %, &”. When a search engine tries to read a dynamic link, it often stops when it encounters the characters that dynamic publishing systems use to deliver a page. This means that a search engine cannot easily crawl and index the website. 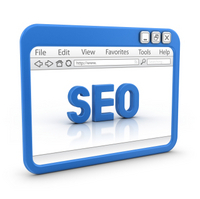 This means that fewer pages of your website will be indexed by a search engine. This in turn means you will show up in fewer search results. One thing that many people fail to realize is that search engines create multiple entry points into your website. While your home page may be the one that people find most often, websites that have lots of pages indexed will begin driving traffic to pages located deeper within the website. These interior pages often draw much more qualified users because they are looking for information specific to a certain topic. Because they are looking for very specific information, they are also more likely to convert on a sale or action that you have prepared for them. If dynamic publishing is keeping your content from showing up in the search engine database, these more qualified visitors often won’t find your website. It’s very important that as much of your website is visible to the search engines as possible if you hope to drive traffic from search engine marketing. Good link architecture can solve this problem in many cases. Paid inclusion programs like Inktomi Search Submit or Index Connect guarantee that the pages you want search engines to index are included in their database. This means they don’t have to crawl your site and guess at what information is beneath the surface. Instead, you are telling them the pages you want them to include and re-crawl on a regular basis. This even includes dynamic pages because you provide Inktomi with a list dynamically generated URL’s which it then knows will contain content and information specific to your website. Dynamic publishing systems should never hinder the ability of your users to find you. If your website uses dynamic publishing, you need to understand if search engines are able to see deep within your website. A good way to find out is by using Marketleap’s Search Engine Index Count tool. This tool will show you the number of pages that your website has indexed by each of the major search engines. Once you see how much of your website is being indexed today, you’ll know how much of an issue dynamic pages are for your website.